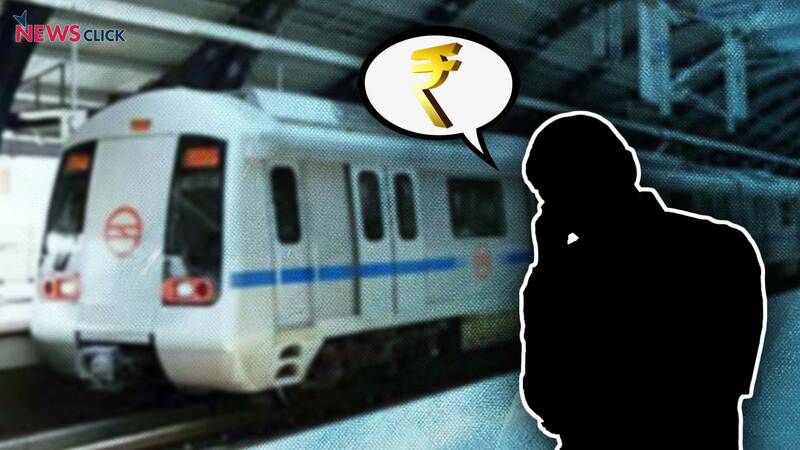 Metro Projects Focussed On Profits Have Always Failed in India, DMRC on the Same Path? The idea of making mass public transit profitable is itself problematic. Delhi metro is considered by many to be the lifeline of the city. It connects the heart of Delhi to its edges. It allows for a democratic means of travel for people from all strata and income groups. Or at least, it used to. After the fare hike which came into effect on Tuesday, the footfall of the metro is expected to fall further. This hike comes just six months after the last one in May. In April, a passenger traveling a distance of 35km everyday, say from East Delhi to Gurgaon, was spending Rs. 1,120 in a month (excluding weekends). Now, he will have to spend Rs. 2,400. This is an increase of 114%, more than double, in just a span of six months. After the hike in May, June saw a drop of almost 1.5 lakh passengers per day compared to June of 2016. This reduction in the number of people travelling in the metro renders the arguments given by DMRC to hike the fare baseless. According to DMRC, “The necessity of revision in fares was on account of increase in the cost of inputs viz. the staff costs, the cost of energy and the cost of repair & maintenance.” But if there are no longer as many people using the metro services, then how will the fare hike help in recovering costs? The Managing Director of DMRC, Mangu Singh, has said that the corporation is not worried about any further drop in footfall. Many daily wage labourers who participated in the protests against the fare hike said that they will no longer be able to use the metro. A daily wage labourer who will be earning Rs. 400 - Rs. 600 per day, commuting long distances for work, will now spend Rs. 120 just on metro rides. This will undeniably lead to workers and other low income groups shifting to cheaper public transport, such as buses, and consequently increase the pressure on roads. The motive of the construction of metro to reduce congestion on roads, and provide cleaner and more environment friendly means of transport is then defeated. The idea of making mass public transit profitable is itself problematic. A public transport system that is affordable by the masses is crucial in facilitating economic growth. By allowing the citizens of Delhi to make comfortable, fast, and cheap commutes to their workplaces, the metro directly aids in increasing workers’ efficiency. Thus, the benefits of affordable public transport are not limited to just its users. Hyderabad and Mumbai metros followed a different model than Delhi metro, with a singular focus on making them profitable ventures. Both metro systems have been spectacular failures. Hyderabad metro remains nonoperational, and only a single line is functioning in the Mumbai metro. Delhi Airport Express line as well performed dismally when its fares were high in order to recover costs. Reliance Infrastructure, which was originally operating the line, still faced high losses and ultimately abandoned the project. DMRC took over and reduced fares by 40% which led to a 30% rise in ridership. Metros overall are expensive projects and cannot be expected to make operational profits while being affordable by all income groups. If the Central government is willing to invest much higher amounts in projects such as the bullet train, which will serve a minuscule number of people compared to Delhi metro, then its priorities need to be seriously questioned.